Our range of products include hot water radiator. We offer a comprehensive range of Hot Water Radiator. These hot water radiator are widely known for better quality and performance. Our supervisors make sure to monitor every process of manufacturing so as to ensure the quality if every material that is used in the manufacturing process. 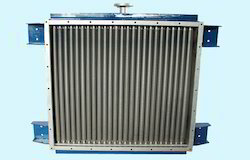 These radiator assemblies are tailor-made to meet specific process parameters. Looking for Hot Water Radiators ?